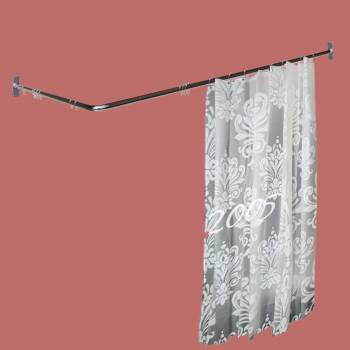 Two-sided Shower Curtain Rod Chrome Plated Brass 7/8" Dia. Features the finest chrome-plated brass construction? Can be cut for an exact fit? Includes 7/8" diameter curved rod & straight rod? Measures 5 1/2' long & projects 36" from the wall? This L-shaped shower curtain rod from Renovator's Supply is the perfect unusual touch to set your bathroom apart. Constructed from brass and finished in chrome, this is one rod that won't lose its luster for a long time. Rod measures 7/8" diameter, 5' 6" long side, 3' short side. If you are considering a bathroom renovation project, then installing shower curtain rods is a fairly routine task. 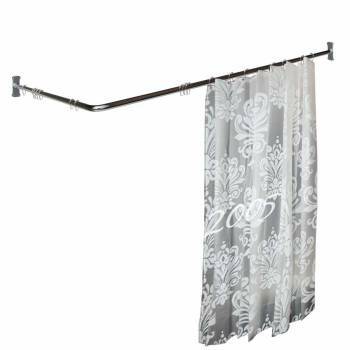 How about installing the shower curtain rods in bedrooms as a part of interior designing? When you are strict to certain budget and wanted to have these simple renovations at home, then our Renovator's Supply can be one of your best choices. 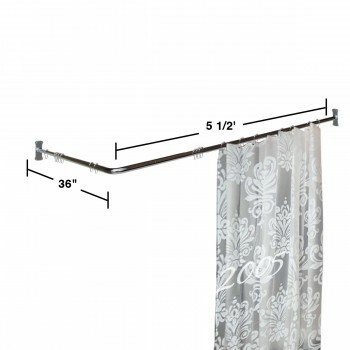 This shower curtain rod features a finest chrome plated brass construction, two sided shower rod that measures 5 1/2 feet long, with a 7/8 inch diameter and 36 inch projection from the wall. This is very easy to install and can be cut accordingly to fit exactly. Available in finishes of brass and chrome and likewise in various surrounds like oval, O-shaped, U- shaped, D-shaped, rectangular and straight. 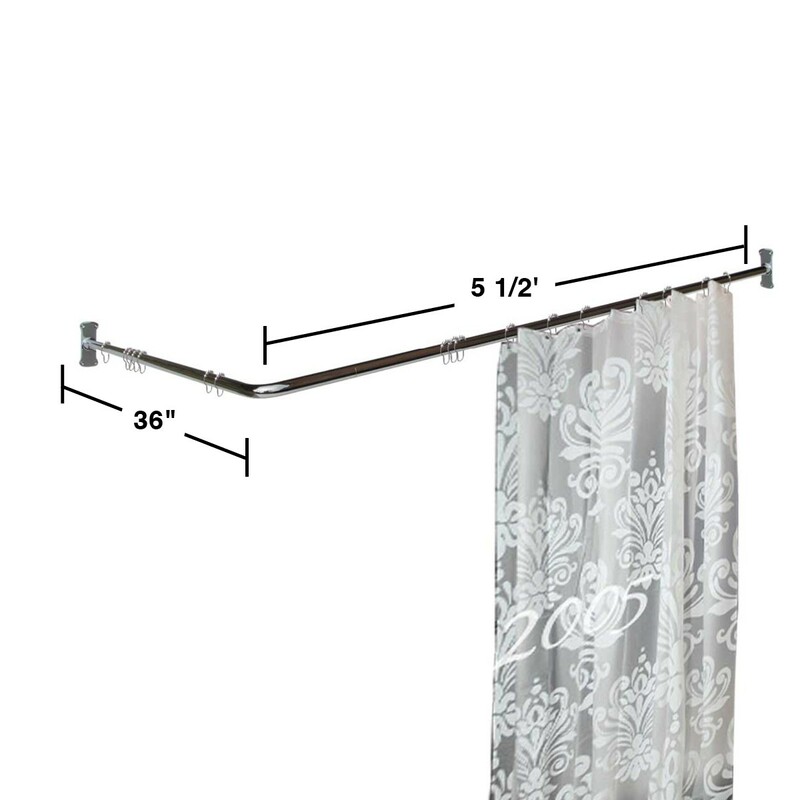 This is a very sturdy shower rod. It was hard to cut but that was because of the quality materials used. The slotted mounting screws were useless and who is still making these anyway. Seriously is there a giant warehouse in china with leftover screws from WW2 plus they were barely long enough to go through drywall. Other than that and extremely good quality product.